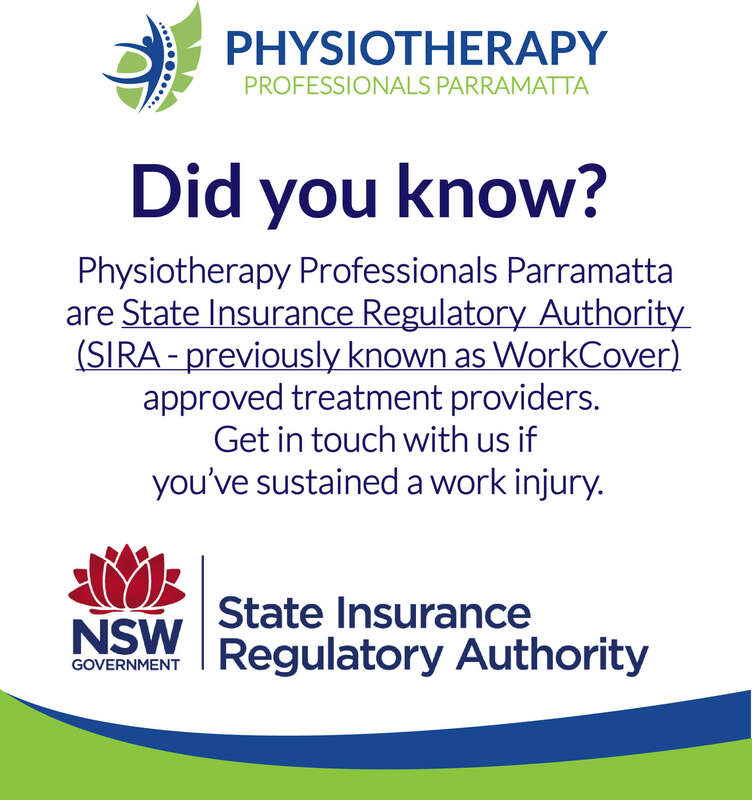 SIRA Physio – State Insurance Regulatory Authority, previously known as WorkCover is a Government body which regulates motor vehicles accidents – CTP insurance, workers compensation insurance and the home building compensation fund in NSW. Physiotherapy Professionals Parramatta are SIRA approved treatment providers. Get in contact with us if you have had an injury at work and let us get you back on track. Expert advice and treatment for motor vehicle accidents and work injuries. The State Insurance Regulatory Authority (SIRA) is the New South Wales (NSW) government organisation that regulates and administers the state’s workers compensation system. SIRA regulates motor accidents, CTP insurance, workers compensation insurance and the home building compensation fund in NSW.